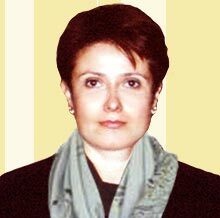 Law Office CHRISTINA SEMOVA is an established law firm in Bulgarian legal circles with wide range of activities and a long list of clients, both native and foreign. The law office is guided in its work by the principles of uprightness in its business relations with clients, discreetness and strict keeping of official and clients' personal secrets. Nevertheless the law office is in Bourgas, one of the biggest cities along the seaside of the Black Sea, it works in close co-operation with leading law offices in the country and abroad due to fluent English and Russian used by the staff. Registration of various juridical persons - court registration of sole proprietors and companies, branches, etc. and all subsequent needed under Bulgarian law registrations with the different institutions such as tax authorities, National Social Insurance Company, National Statistics Institute, etc. Alterating in the status of business subjects, their transformation and reorganization, acquisition of share participation, and joint-stock capital, etc. Performing all necessary formalities in connection with contracts and notary deeds for deals with real estate. Lawyer Christina Semova maintains a close contact with several real estate agencies, enjoying a good reputation and has gained a solid experience in arranging and performing all kinds of transactions with real estate - buying, selling, property management and mortgages, finding the suitable property round the country according to criteria set in advance, examining the legal status of the real estate, conducting talks and ensuring client's representation in connection with the transaction.